Hugo's base line power number's show the vehicle's power output at 452hp in stock form. 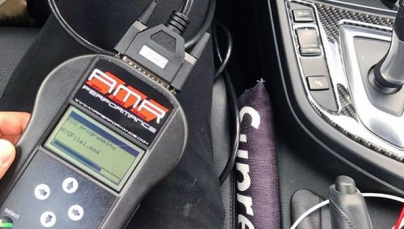 Our engineer's proceeded and began programming the vehicle's ECU with our AMR Performance Mercedes-Benz C63s ECU Software Upgrade (tune) which net us a gain of 80whp and 130wtq over stock while firming transmission shift patterns and enhancing throttle response! Safe, reliable, daily driven power! Home › Sport › Sport Car › Tuning: Hugo’s 2016 Mercedes-Benz C63S big gains! Tuning: Keith’s Mercedes-Benz C63S (W205) with big gains! Hugo’s base line power number’s show the vehicle’s power output at 452hp in stock form. Our engineer’s proceeded and began programming the vehicle’s ECU with our AMR Performance Mercedes-Benz C63s ECU Software Upgrade (tune) which net us a gain of +80whp and +130wtq over stock while firming transmission shift patterns and enhancing throttle response! Safe, reliable, daily driven power! Scott Abrino's C43 0-60 RaceLogic V-Box Results!